Yes, you re ad that right. I've changed my mind. Or had it changed for me. Or... maybe I've just LOST my mind. Not only will I be participating in this month's web-famous "VEGAN MOFO" Month-Of-Vegan-Food Blogger's Challenge, but I've also accepted a further (and crazier) challenge from the lovely and über-talented super-blogger Jess Scone (Of "Get Sconed" and "Stumptown Vegans" fame) : To blog 30 DAYS OF VEGAN GRAVY! And I know you're saying "What? 30 days of gravy? Is that possible?" Yes, as HUGE fan of all things gravy, I can tell you it is, indeed. My (very NON-vegan) heroine Paula Dean has more than 25 gravy recipes herself, and while I have no desire to inflict all of those upon you, I do have quite a repertoire that I feel as qualified (or moreso) than Paula to share. 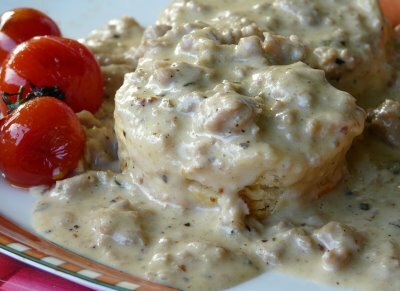 Keep in mind that Indians make curry gravy, Italians have their tomato ragu gravy and New Mexico's famous green chile sauce is also known as "green chile gravy". You'll have lots to choose from. Stay tuned for awesomeness. So why do I feel I am eminently qualified to share thirty days of gravy nirvana with you? Several reasons. Hear me out. Two: I make REALLY good gravy. Lots of it. Often. Good enough (in my mind) that it's become the standard by which I will judge all other gravies. Sorry, my opinions may differ from yours, but that's how I roll. Three: I am very picky about restaurant- and ready-made gravies. And now that I only eat vegan gravies, my opportunities are much more limited. But not as limited as some. 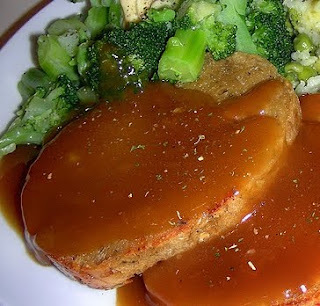 I am blessed with an extraordinary number of vegan friendly restaurants in the not-too-far-off Seattle and Portland environs, so when I can afford it, I have more than my fair share of options (both good and bad) to sample public vegan gravy-making. (I'll discuss some of those later). I figured the interwebs are being bombarded with millions of incredibly tasty ideas during this month of Vegan Blogging, and what would go better with all those scrambles and patties and cutlets and loaves and burgers than... gravy!?! So, keep your eyes opened, your computers fired up and your gravy boats polished, a MONTH OF GRAVY awaits. What a fantastic and crazy idea! I am totally looking forward to your MoFo posts. That's fun! I'm sure my husband will thank you. He loves gravy, and I hardly ever make it. One food he talks about all of the time - these gravy fries we had at Curly's in NYC. Vegan Month of Gravy. I love it! Now that's a challenge I can get behind! Happy Vegan Mofo! whoa! I love it! 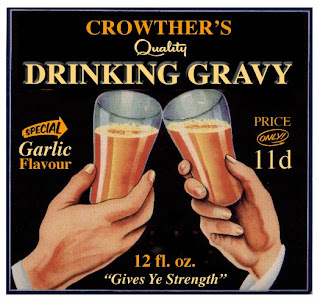 I used to love gravy waaaaay back in my omni days (23 years ago!)... and I've never really gotten any good at vegan gravy. I will be following month of gravy closely! What a great theme - at first it sounds like a challenge but as you mentioned there is plenty to write about! I was a little surprised when I first heard of spaghetti sauce called "gravy" - but in South Philly at least they say that is authentic! I look forward to see what's up next. I am so totally looking forward to your recipes! 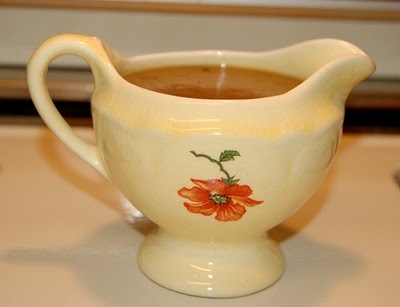 I have my gravy boats & my lil ladles all ready. 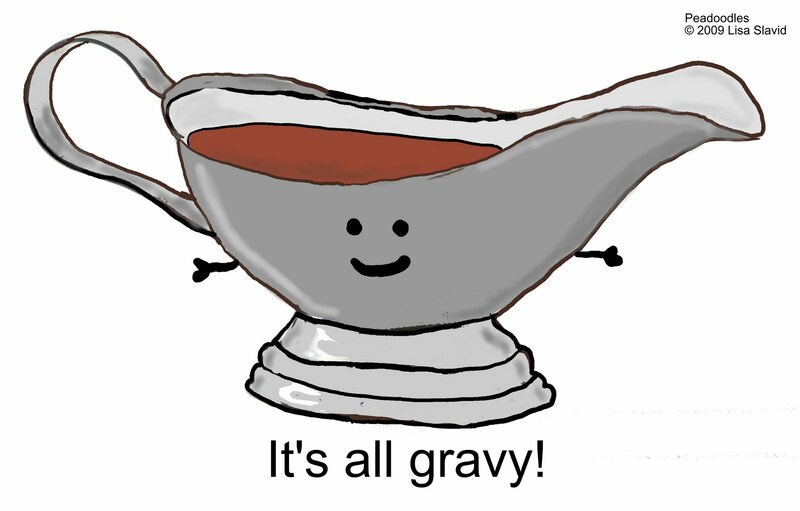 Its stressful here right now, so gravy is a great sounding comfort food. Wow, fun and unique theme! No better woman for it though. Your recipes always rock! Looking forward to all your gravy expertise! From one gravy fan to another I'm gonna LOVE your MoFo posts! I can't even express how excited I am for a month of gravy. 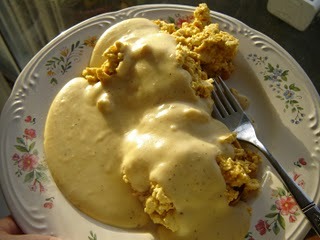 It's pretty hard to even think of foods that aren't improved by a ladle of gravy goodness poured on top. Just going to have to call you wonder gravy woman! I can't even imagine how to make gravy everyday, but am very excited to ck out your recipes!!! You go girl!! !